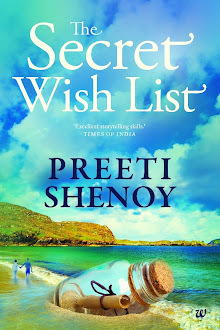 Reviews and Dial a book--Life is what you make it .A novel by Preeti Shenoy. As might be expected and understandable, it is my second book which has completely taken over my life these days. The photo above was clicked two days back, minutes after I got my second book in my hand. Many people had already pre-ordered the book, and many of them got it even before I did! The initial reviews which are coming in are excellent, heart-warming and extremely positive. 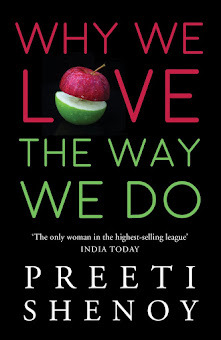 Preeti has dealt with a real issue in a very real manner. Mental health is real. It exists and making it a taboo only accentuates the problem. She tells us that pretty girls who have it all can have a disease of the mind as much as they can have a road accident. They can also deal with it if given the right kind of support. Some time back I had written a poem about the Turtle and the Moonfish. This is Part 2 of what happened since then.Click hereto read the first poem. Over the horizon, Under the sea, The turtle had got over the moonfish And had let the past be. Along came a Starfish, So friendly and kind. It was just the antidote, A bruised turtle hoped to find. They laughed and they talked, And spent many happy hours together. They liked each other (a lot), And said would be there forever, for each other. The turtle sang and celebrated, And she felt so grateful. For getting a true friend, Her heart was overflowing and full. She thought over it (a lot), As she had been hurt before. She wanted to be safe, Yet, she longed for more. Finally she decided, Risk it she must. She would tell him of her love, And in her love she would trust. She was certain he loved her too, So she told him and she waited. But as each day passed, Her heart little by little deflated. Singing is one thing I just cannot do, even to save my life. I have absolutely no musical inclination whatsoever. I can paint, I can make extremely realistic portraits, I can write, I can play basket-ball, I can bowl a leg-spin and even do a perfect chakrasana in Yoga. 1. Please post your opinions only on theFacebook page . 2. If you do not have a facebook account it just takes a few minutes to create one! 3.You can write as much as you want or as little as you want! And don't forget to leave me a comment here wishing me luck when you're done! :) (I do need it! Have worked so hard for this book). You've all been so sweet!